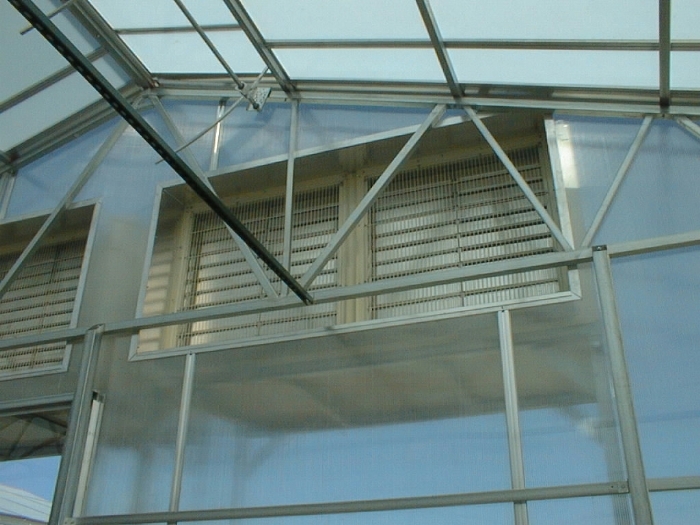 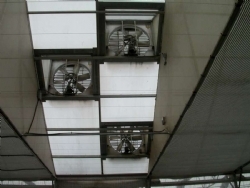 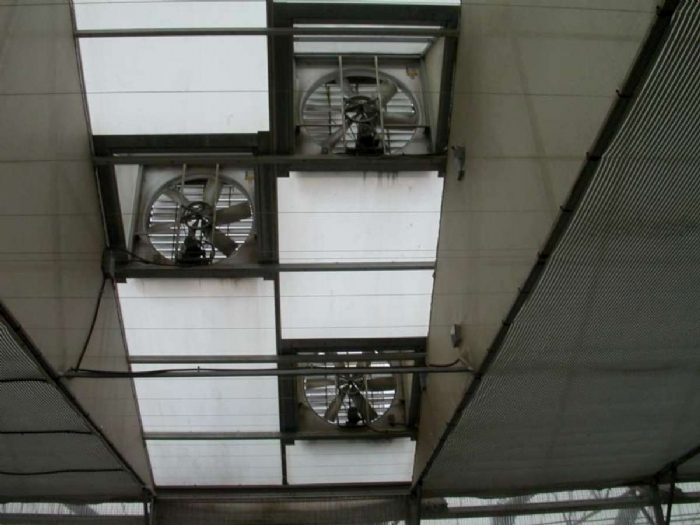 The tried and true ventilation method in many areas is still a fan and pad mechanical system. 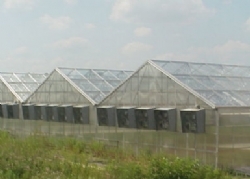 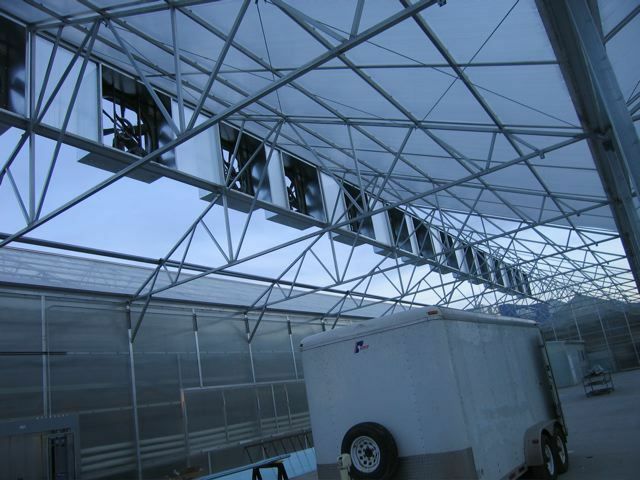 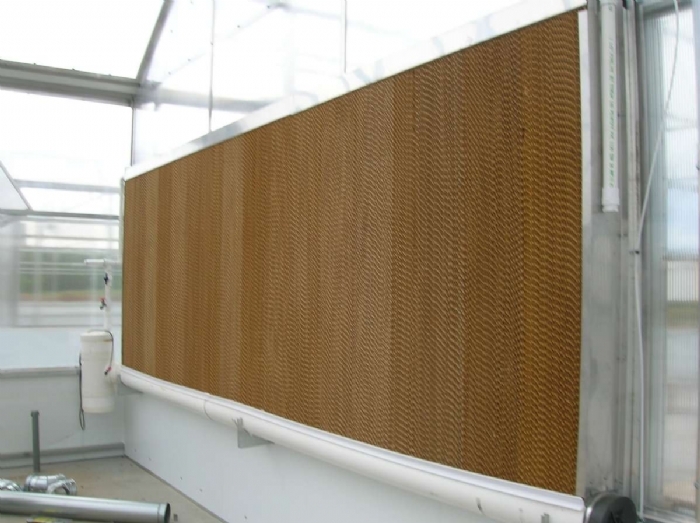 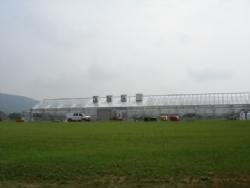 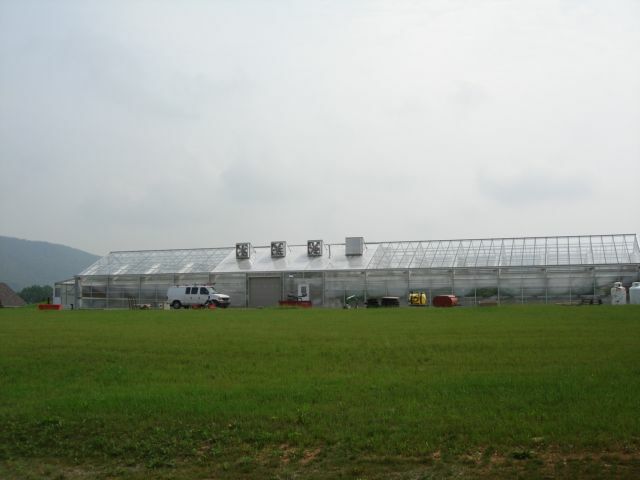 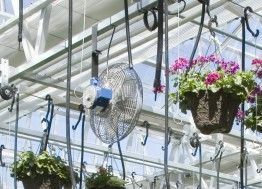 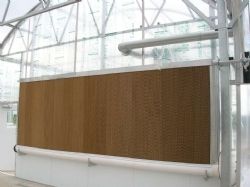 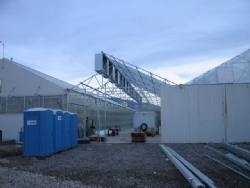 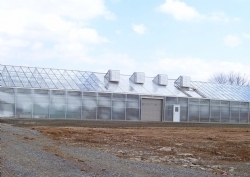 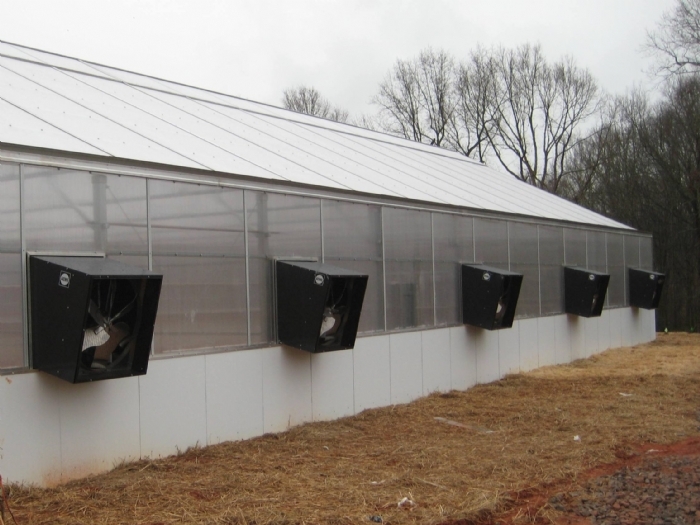 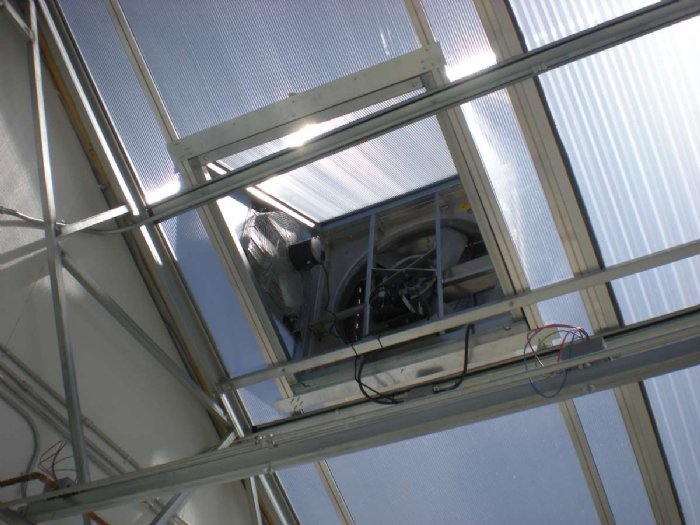 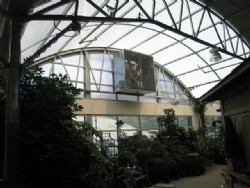 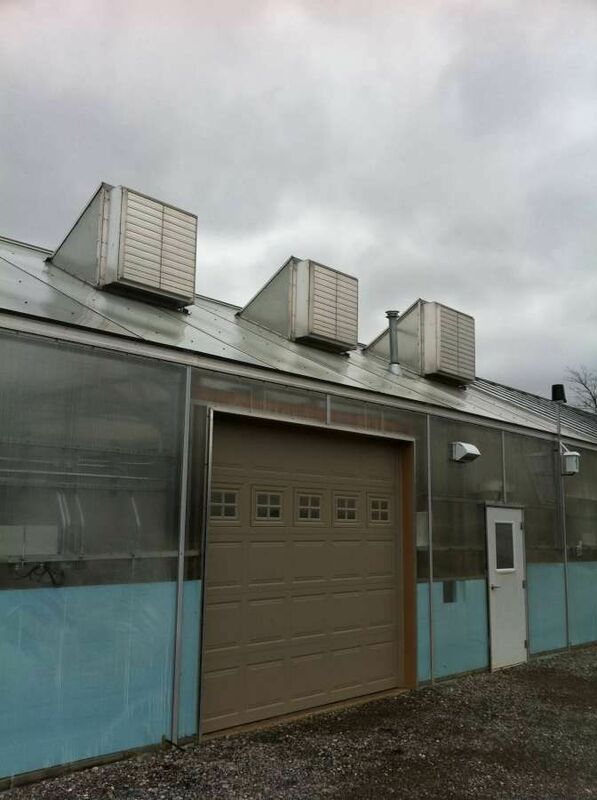 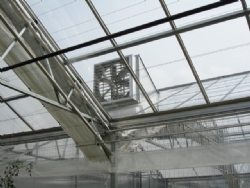 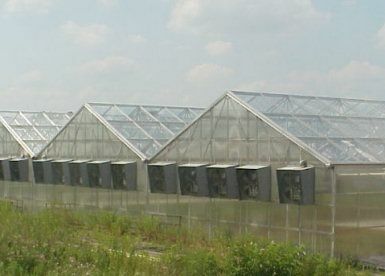 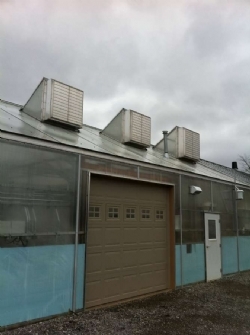 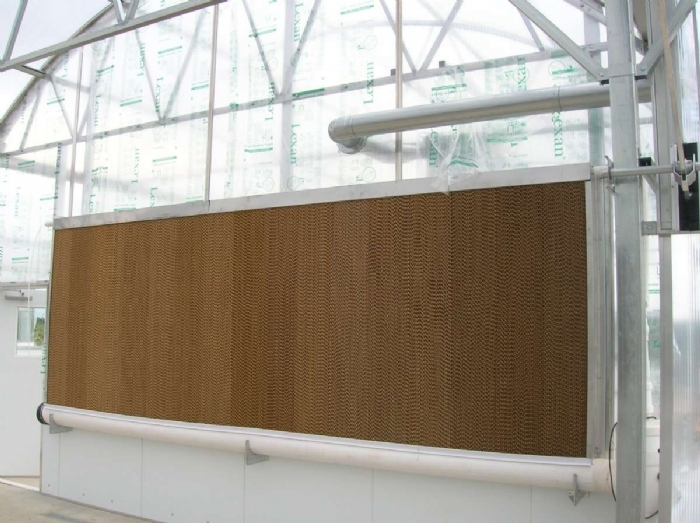 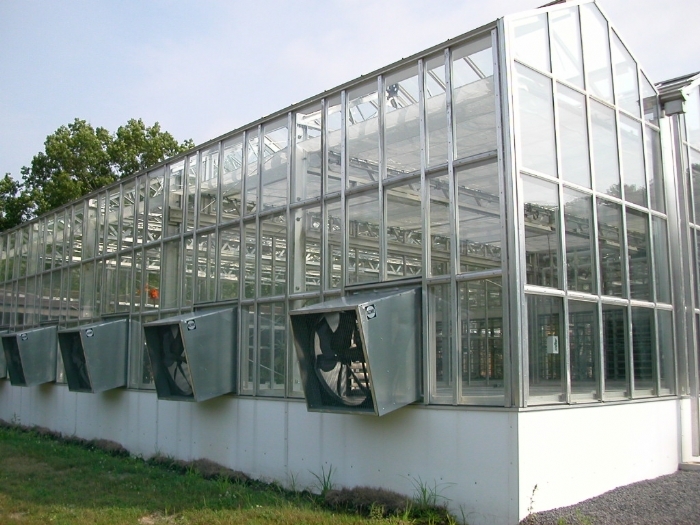 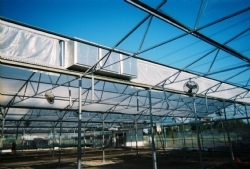 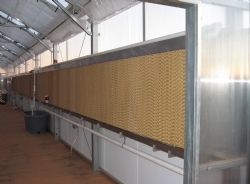 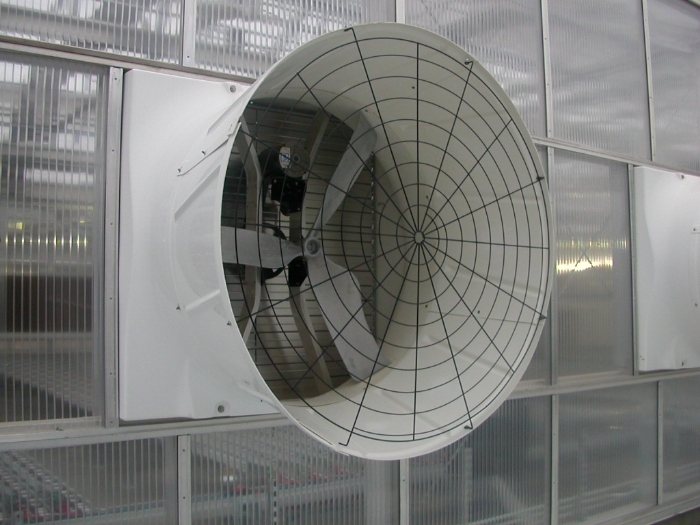 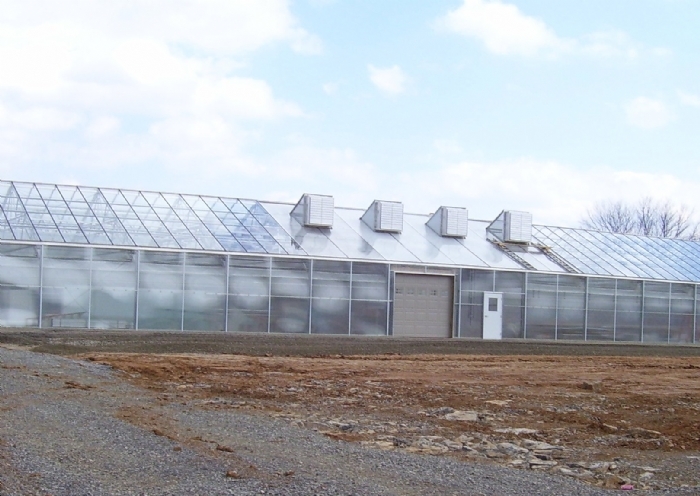 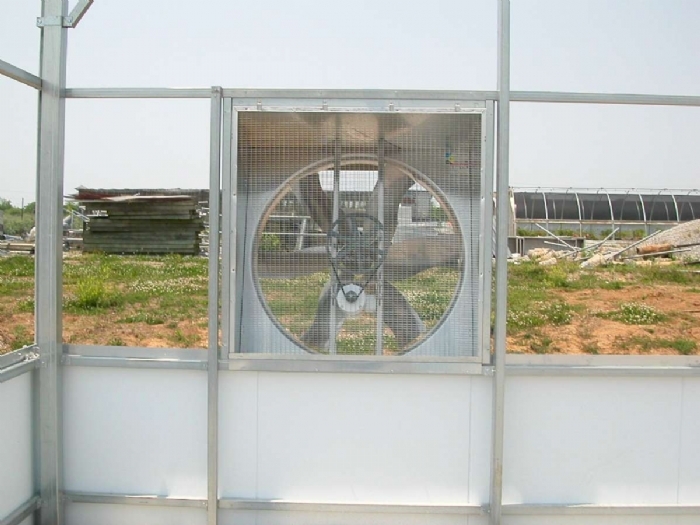 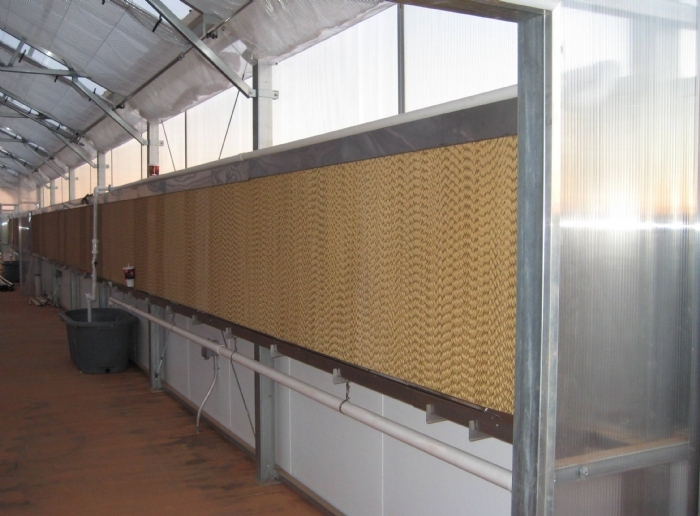 This system will exhaust the hot greenhouse air through inlets and provide a cooler environment by pulling air through a wet wall. 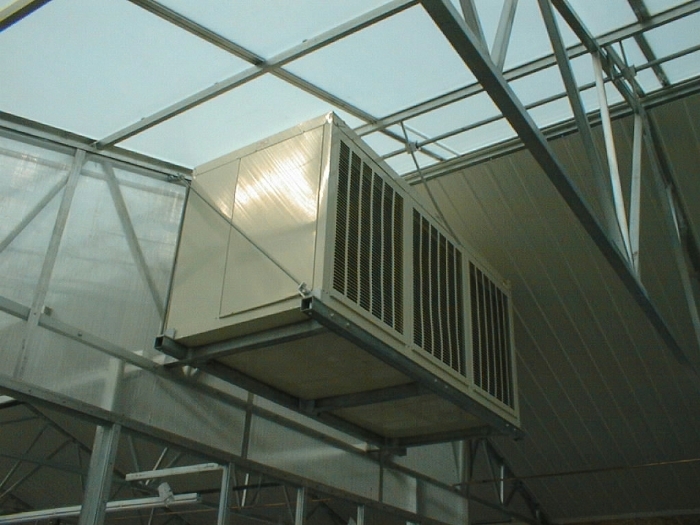 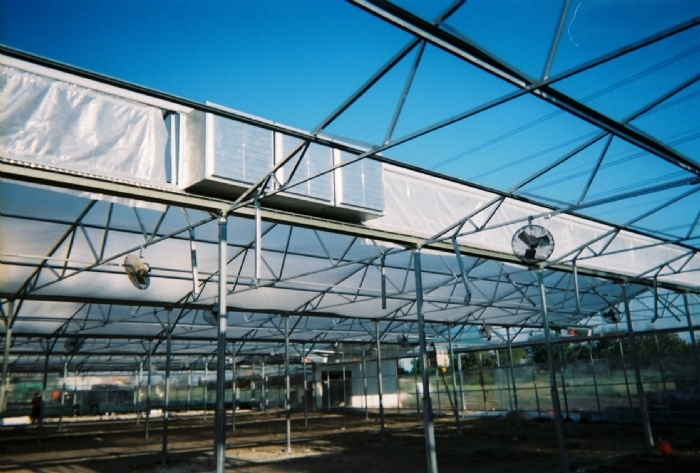 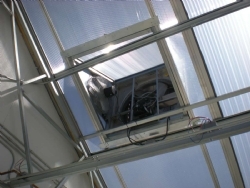 Other systems include misting and single unit evaporative coolers.